Pay for April - May is Free! Thank you for the kind review. We appreciate you choosing Pioneer Stor N Lok for your storage needs. Thank you, everything was wonderful. Kaila!!! Thanks for the excellent review! Just to clarify - I am not the owner! lol. Property Manager, but I take it as a compliment. Thank you for choosing Pioneer Self Storage for your storage needs. Thank you, Doug, for the nice review! Thank you, Victoria, for the wonderful review! Office hours are limited, but the owner is only a call away. She definitely is very professional and makes you feel at home. Thank you, Tyneshia! We appreciate your business and the review! Tyneshia, thank you so much for this wonderful review. You are a gem. It was my pleasure to meet you and I look forward to doing business with you!!! Kelly is an amazing, professional, direct property manager. It was a pleasure meeting you Deandria. Thank you for the kind review! Awesome customer service nice and didnât mind showing me around and making sure I was good to go ! Thank you for the review Ms. Tonji. I was concerned you thought we were overpriced so I did a quick search here on Sparefoot.com and actually, we have the lowest price for your size unit. Some facilities are charging $24 more per month for the same space and we have 10' ceilings! I hope that our facility and customer service changes your opinion soon and you come to realize what great pricing we offer. Short and Sweet! Thank you, Wesley for the review. We look forward to doing business with you! At the moment there's nothing much to say in reference to a review other than I'm satisfied. Love the location! It's close to my home and work place . Wish it had 24 hour access instead of denying access at 10pm tho. Other than that I have no complaints. Friendly staff there too ! Thank you, very much, for the kind words, Ms. Rowland! We appreciate you as a customer! I will be using again in the future. This storage facility had the best overall guest satisfaction. The woman at the front desk was very informative, professional, and kind. Thank you, for the kind words, Theresa! It was a pleasure meeting you and your Mom. Have a great summer! Very close to CSU, Excellent Customer Service, Clean and Good Price. I made reservations online. Went in spoke to Kelley. Took all of 15 min. to sign up. 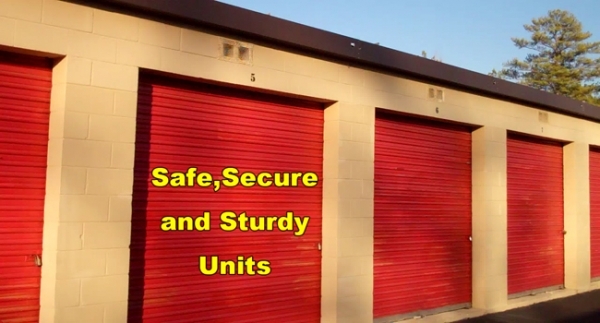 Storage 5x7 unit is perfect size for a college student. Units are clean and price is good. Thank you for your kind words, Ms. Strickland! 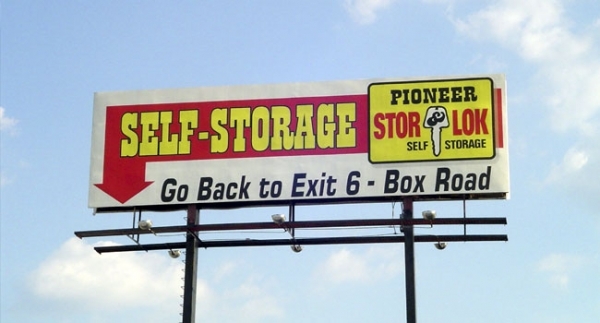 We appreciate your choice to use Pioneer Self Storage for your storage needs. I have absolutely no complaints. The staff was very knowledgeable and helpful. Thank you, Ruthann, for the kind words. Welcome to Columbus and we appreciate your business! Thank you, Yureka, for taking the time to review our facility. I sure appreciate your understanding through my computer problems! Affordable pricing! They lady at the front desk call me in a timely manner to confirm my reservation that I booked thru sparefoot. She made sure I had direction. I would recommend this facility to anyone. Thank you, Austin. 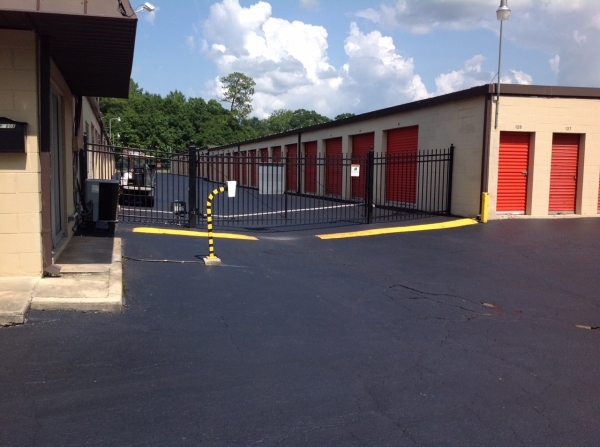 We look forward to serving your storage needs. Thank you, David, for the kind words. Happy Holidays! 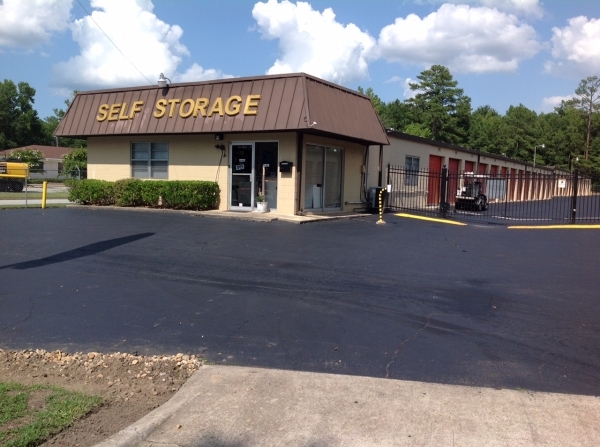 The staff was very friendly and helpful and the storage units were very clean. Definitely happy getting a unit here. Thank you, Jeremy. It was a pleasure to meet you and Heather. Welcome to Columbus and we look forward to doing business with you! We could not be happier with the facility and customer service we received at Pioneer. Kelly was fantastic and extremely accommodating when we needed to upgrade to a larger unit at the last minute. The pricing is on point and the security fence and cameras around the facility really help to put our minds at ease about the safety of our things. The unit was very clean and easily accessible. 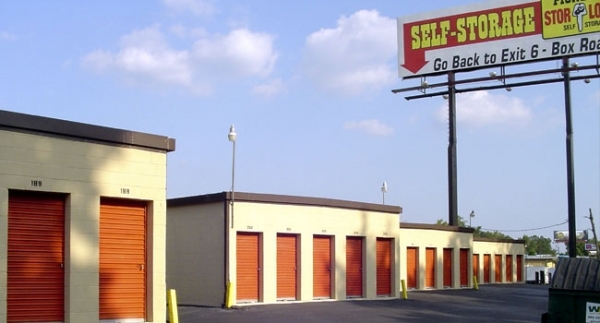 We will definitely be recommending this storage facility to our friends who are needing a place to store their things while in Columbus! Thank you, Victoria, for the kind words. We appreciate your choice to do business with us! Always there when you need to get access to your storage! Thank you for the wonderful review, Tanae! It is much appreciated. The staff was pleasant and very helpful. Good location and overall great facility! I would recommend this facility to anyone. They have great customer service and are very helpful. I know that my belongings are safe and secure here. Thank you for the review and kind words Ms. King. We look forward to doing business with you! Thank you, Zack. We appreciate your business. Very friendly and professional. Secure. Excellent service from Pioneer Stor and Lok. Couldn't be happier with our first storage experience. Yeah, Rick, I still feel bad for that. I try to give a good estimation of time away when I'm running office errands. Some things, like traffic, waiting lines, etc., can't be foreseen. Thank you for waiting and for still being kind on your review! I had my doubts when I showed up and nobody was in the office during their hours of business for about an hour (a sign was on the door indicating they would be back), but Kelly showed up and apologized and offered me a free lock to compensate for my time. Service was prompt and I was in and out the door in under 20 minutes. Thank you Mrs. Whitaker. We appreciate the review and look forward to doing business with you! Thank you, Rita. It was nice to meet you. She was very professional , very nice facility. Thank you, Denise! We appreciate your business! Dear Ms. Brand, We hate to hear that you are still unhappy with the service we have provided you. From Betty staying after closing time to await your arrival to rent you the unit, to Kelly issuing multiple, unwarranted credits to your account, we have truly gone above and beyond the norm to try to make you happy. I guess we canât win them all, even though we try very hard. As we told you last week, you are welcome to move out of our facility as soon as your account is no longer in a past due status. Thank you, William! We appreciate your business! Great customer service and price is very fair. The lady in charge REALLY went out of her way to make my experience simple and fast. We loaded in easily and the whole thing was EASY and FAST. Kelly is super friendly and informative. First time renting from Pioneer. Kelly made the process easier and I feel better after talking with her. Location is not the closest to me but the price is good. Kathy was a great help in finding the unit I needed. She was quick, friendly, and efficient, so I was able to view the unit and complete all the paperwork in about 30mins. I would definitely recommend this storage company for your storage needs. I reserved my storage unit online, but had a few questions. I contacted Kelly and she was very friendly and helpful. Will recommend to family and friends! best price for unit size in the area. Manager resides on site, facility very secure. Kelly helped me with rebate forms. Highly recommend !! Great Place and great help. Great Customer Service & a very good price for excellent storage. Haley, Thanks for your review, but I wanted to follow up on "Price" and "Security". I believe we have the lowest price units for the quality of product anywhere in the Columbus area, I hope that you were able to compare with other facilities. In terms of security, we have 24/7 video surveillance, keypad entry gate system and an on-site manager. There is no higher level of security in the area. Thanks again for your business and we look forward to serving your storage needs for as long as you need us. Great deal for quality storage. Awesome customer service. I've been a customer for 18 years & am very satisfied here. Manager is professional, friendly, and willing to be of assistance every time I've asked. Value per sq. ft. is excellent. Location is easily accessible. Operating hours are great as well. This is the best kept secret in Columbus. I have stored my belongings at three different places and this one is by far the cleanest and best value for my money. Wish I would have known about it earlier, it would have saved me a bunch of money! Neat, clean, tidy and secure! I've used Pioneer Storage for over 3 years and found the facility always clean, tidy and well maintained. The onsite manager is responsive to any issues no matter how small. In addition to the onsite manager, cameras and high fences ensure a safe and secure place to store my excesses. The central location and ease of access off the main highway make it the place that works best for me.